The former president of the Confederation of British Industry has said the UK government and European leaders “should be ashamed” that they have not guaranteed the rights of citizens in the event of a no-deal Brexit. Paul Drechsler said it was an “absolute scandal” that EU citizens in the UK and British nationals in Europe remained in limbo more than two years after the referendum. “Leaving people hanging by a thread of uncertainty is totally against British values, totally against European values,” he told The Guardian. “We should be ashamed of the fact that we sweep that aside,” he added. About 3.8 million EU citizens are residents of the UK and an estimated 900,000 Britons live elsewhere in the EU. Mr Dreschler said both groups should be given “an unambiguous, unconditional guarantee they will be OK no matter what”. He said the the status of EU citizens in the UK after Brexit was the crucial issue facing businesses in London. Mr Dreschler, who now chairs London First, an umbrella group of firms in the capital, called or an end to ”lies” about immigration. “It’s time we were honest with people about the positive role and contribution, our industry, research, tech, [migrants] make,” he added. The Liberal Democrats party conference began today in Brighton. In his conference speech, leader Vince Cable (pictured) is expected to elaborate on his plans for a "Movement for Moderates"
Cabinet office papers leaked last month suggested Theresa May was planning to give EU migrants the right to remain in the country in the event of a no-deal Brexit. Downing Street declined to confirm the proposals, said to have been drawn up amid concern over potential labour shortages in key sectors of the economy. 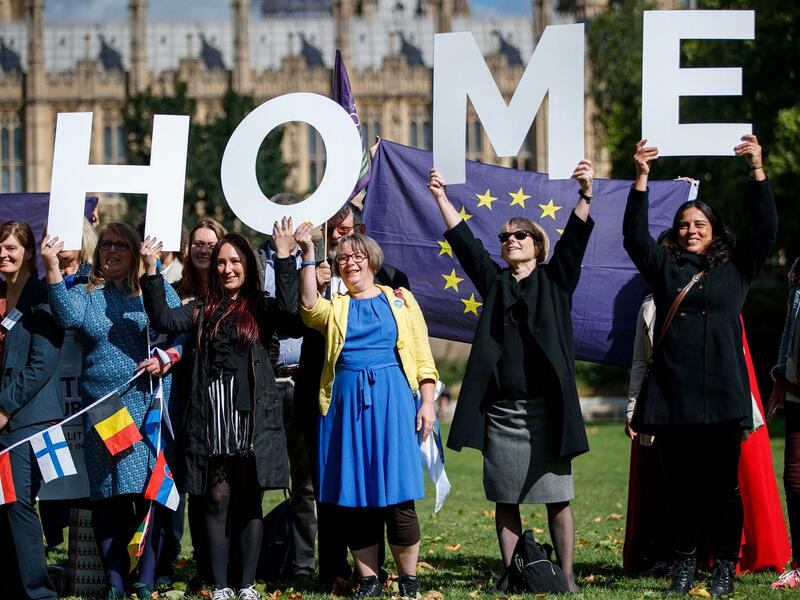 Campaigners have called for legally binding guarantees to safeguard EU migrants’ status under future governments.